The Babyliss Carrera2 has an unsurpassed weight-to-power ratio. 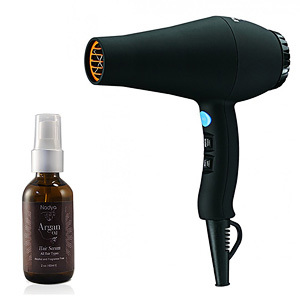 The combined technologies of Ionic and Ceramic give the most sought after results of shiny, silky and manageable hair. Exceptional air pressure, ultra high air temperature combined together with the ergonomic design and featherlight weight make the Carrera2 a milestone. 9 in. Professional Power Cord.